Our elders say don’t waste time, start planning and start study. Our teacher say time once gone would never come back. Our senior say had I have done my work on time, all would never happen. What to not waste, how to plan and a big question in all our minds, what actually time is? If you go and find out the real meaning of time you won’t be getting it, because those get the meaning of time have no time for looking its meaning. Time is that duration in which the thing event occurred that could be past, present, and future, something which had made its mark on one’s life. We human are immortal that is we would not live for years and as we grow our age passes and time passes. Time is that truth of life, which when pass away makes us older to the duration it has passed. In short, time passes, life’s time reduces. Time and our life are opposite of each other, when one passes, other increases but not vice-versa. Time waits for none one will have to be with time on time; else it will run leaving you behind. 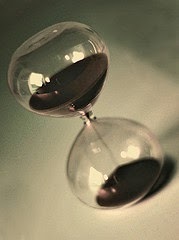 After knowing time, a question may be there in minds of you all, how can we utilize it or avoid wasting it? And why people say time is money? And again if you After knowing time, a question may be there in minds of you all, how can we utilize it or avoid wasting it? And why people say time is money? And again if you look for answer you won’t find it. One can wisely utilize and avoid its wastage by managing time i.e. time management. Time management is in simple words, the ways to make our work done with respect to time, way to utilize time without wasting in unproductive matter. And if you learn to use time, you will find the answer to question calling time is money. Time is that waste in a flowing stream, which drains ways to the ocean but never returns back from the ocean the way it drained. It’s all up to you, time can make you, it can destroy you, and the choice is yours whether you want to be its enemy or friend.